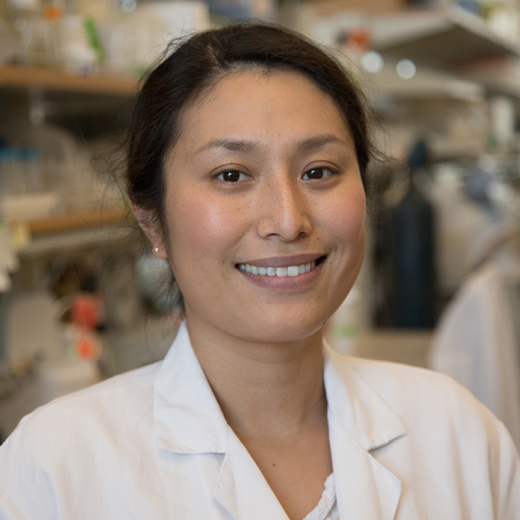 Saori Amaike Campen, PhD, is a staff scientist at the J. Craig Venter Institute. Her long-term research interest is to elucidate gene regulatory networks in fungal metabolism and biology. Dr. Amaike Campen has been involved in fungal research since her sophomore year of her bachelor thesis research, and received a BS from the Tokyo University of Agriculture in Japan, MSc from University of Alberta in Canada, and PhD from University of Wisconsin-Madison. Before joining JCVI in 2016, Dr. Amaike Campen worked as a post-doctoral research associate at the Joint BioEnergy Institute/Lawrence Berkeley National Laboratory/Pacific Northwest National Laboratory. While working there, she served as a science advisor for iCLEM program in Class 2015. Dr. Amaike Campen has extensive experience in microbial genetics, genomics, and biochemistry. Histoplasma capsulatum is a dimorphic fungal pathogen and endemic in the United States, causing Histoplasmosis. Identification and characterization of regulatory networks that control dimorphism, virulence, and secondary metabolism will help us understand how the fungus adapts to the host environment and causes the disease. Aspergillus flavus is a filamentous fungus and produces carcinogenic and mutagenic mycotoxin, aflatoxin. Recently, we performed transcriptome analysis in A. flavus infected aflatoxin-susceptible and resistant maize kernels to understand the molecular mechanism of A. flavus- host interaction. This project is in collaboration with Dr. Jeffrey Cary from USDA-ARS. 2011: Over-production of secondary metabolites by over-expression of the veA gene. Pub No. US2011/0076682A1. An Aspergillus nidulans bZIP response pathway hardwired for defensive secondary metabolism operates through aflR. Molecular microbiology. 2012-03-01; 83.5: 1024-34. Annual review of phytopathology. 2011-01-01; 49.107-33. Distinct roles for VeA and LaeA in development and pathogenesis of Aspergillus flavus. Eukaryotic cell. 2009-07-01; 8.7: 1051-60. Expression of naturally ionic liquid-tolerant thermophilic cellulases in Aspergillus niger. PloS one. 2017-01-01; 12.6: e0189604. Homologous NRPS-like gene clusters mediate redundant small-molecule biosynthesis in Aspergillus flavus. Angewandte Chemie (International ed. in English). 2013-01-28; 52.5: 1590-4. The bZIP protein MeaB mediates virulence attributes in Aspergillus flavus. PloS one. 2013-01-01; 8.12: e74030.